Latte e Miele were formed in Genova in 1972 as a trio of guitarist/bass player Marcello Giancarlo Dellacasa (who had previously played with I Giganti), keyboardist Oliviero Lacagnina and drummer Alfio Vitanza (who was only sixteen at the time!). They recorded two albums, Passio Secundum Mattheum and Papillon, more or less in the style of Emerson, Lake and Palmer but with a whimsical, melodic Italian twist. 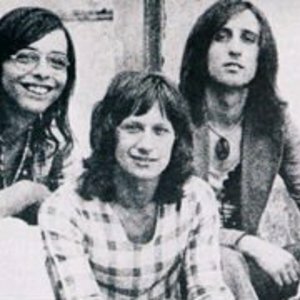 In 1974, the original trio split, but in 1976 Vitanza resuscitated the band as a quartet with three new members: keyboardists Mimmo Damiano and Lucio Poltini (the former doubling on guitar) and bassist/guitarist Massimo Gori. The sound was now more typically Italian, along the lines of Premiata Forneria Marconi on the 1976 album Aquile e Scoiattoli and more commercial Italian pop on the subsequent singles (and on the album Vampyrs, which was recorded in 1979 but not released until 1992). Their final bow was in 1980, when they performed the song ?Ritagli di luce? at the San Remo song contest. That tune found them once again a trio (minus Damiano).